Product review: 30 minutes of joy! – by Kendrick Family, 7 Apr 16 5/5 Excellent "Easily arranged with friendly team...close to us so very easy but good directions provided also. The staff on reception when we arrived were rather unfriendly and prickly, particularly given the fact that the weather had just turned and it was howling wind/pouring rain which may have led to a cancelled flight. However, the weather cleared after an hours flight and our pilot instructor Cedric was second to none. We all thought he was knowlegdeable and passionate and gave calm, gentle but clear instruction... Excellent.Really exciting. More hands on than we could have asked. A bumpy ride due to the weather but this did not hinder the experience... (Did you linger? )Not really but we were welcome to take as many pictures as we liked throughout.Really helpful, kind and friendly throughout the process. " You will be introduced to one of our qualified instructors and then off to the classroom for a briefing on your lesson and flight and ask any questions you may have. Then it is out to the aircraft where you will spend 30 minutes in the aircraft learning how to handle a light aircraft, including the details of taxying, take-off, straight and level flight, banking and the thrilling landing. The lesson can be used towards obtaining your Private Pilots Licence if you choose to continue learning. Maximum weight is 15.5 stone (98 kg) and maximum height is 6' 6" (1.98 m). 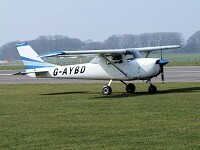 Minimum age is 14 years (adult supervision required on airfield premises for under 16's). We recommend that you purchase your voucher and make a booking for your event at least one month prior to your chosen date. Easily arranged with friendly team...close to us so very easy but good directions provided also. The staff on reception when we arrived were rather unfriendly and prickly, particularly given the fact that the weather had just turned and it was howling wind/pouring rain which may have led to a cancelled flight. However, the weather cleared after an hours flight and our pilot instructor Cedric was second to none. We all thought he was knowlegdeable and passionate and gave calm, gentle but clear instruction... Excellent.Really exciting. More hands on than we could have asked. A bumpy ride due to the weather but this did not hinder the experience... (Did you linger? )Not really but we were welcome to take as many pictures as we liked throughout.Really helpful, kind and friendly throughout the process.